Beauty On Blog – Valentine’s day gift- got a heart? Valentine’s day gift- got a heart? 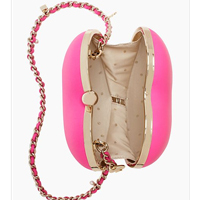 The cutest cross body bag from Kate Spade is very attractive. Kate Spade came out with pink Paris theme for the Spring. The heart shape bag is called Ooh lala Bellini. Size wise, HxWxD (6″x6″x3″). Cowhide leather for this bag and a gold hardware! Nice touch, Kate Spade. The lining is the iconic Kate Spade dots. of course. The gold hardware is great for a night out and the pink is awesome for day time city walk. Love this bag already. The capacity is a bit small for a hoarder. But if you plan on a light street walk, this should be fun? The price is set for $248 even. 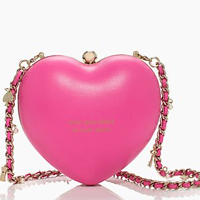 Surprise your love one with the Pink heart bag from Kate Spade! Louis Vuitton Collection Want to break that wallet of yours? Louis Vuitton got a gift just for that but you know your sweet heart deserves something nice and high end. 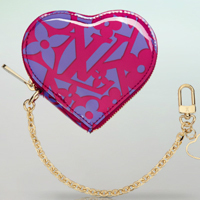 Louis Vuitton came out with a coin purse, of course a heart shape!. The size is WxH (3.9″x3.1″), the iconic LV flowers scream all the girls name to get them. I like that they add the chain to this coin purse. I love LV chain and the clipper. They are very durable. Let’s get your girl some of those colorful accessories from Louis Vuitton. This particular one is called “Coeur coin purse”. 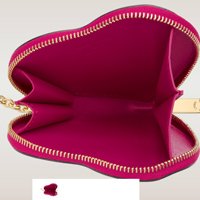 The price is around $ 575 and it has a calf lining which is nice of LV to add little extra luxury to these coin purse. When some one searches for his essential thing Beauty On Blog – Valentine’s day gift- got a heart? , so he/she desires to be available that in detail, thus that thing is maintained over here. Thank you Bag louis vuitton. I tired! Downloading stuff from this web site is as simple |as clicking the mouse rather than other sites which move me here and there on the pages Beauty On Blog – Valentine’s day gift- got a heart? . Thank you Louis Vuitton Bookbag. I want this blog to be as convenient as possible for our readers.